Yosef Lekach. 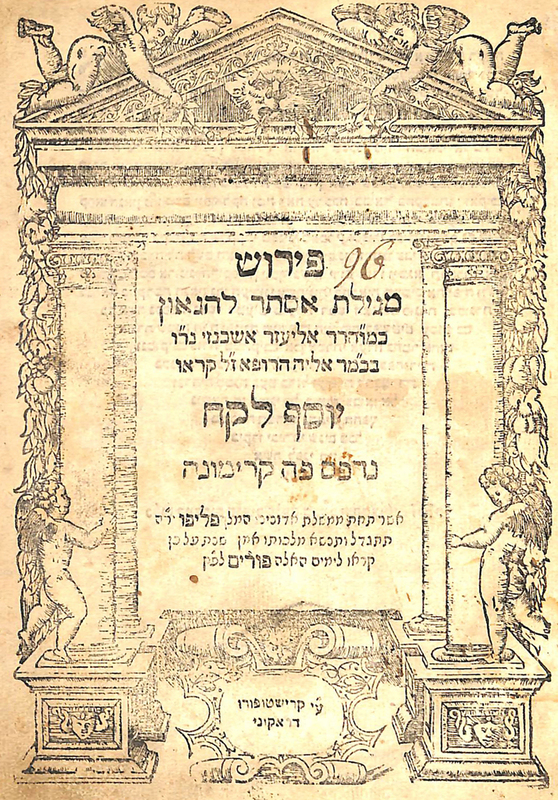 First edition Cremona 1576/ Deitsch, R. Dovid. 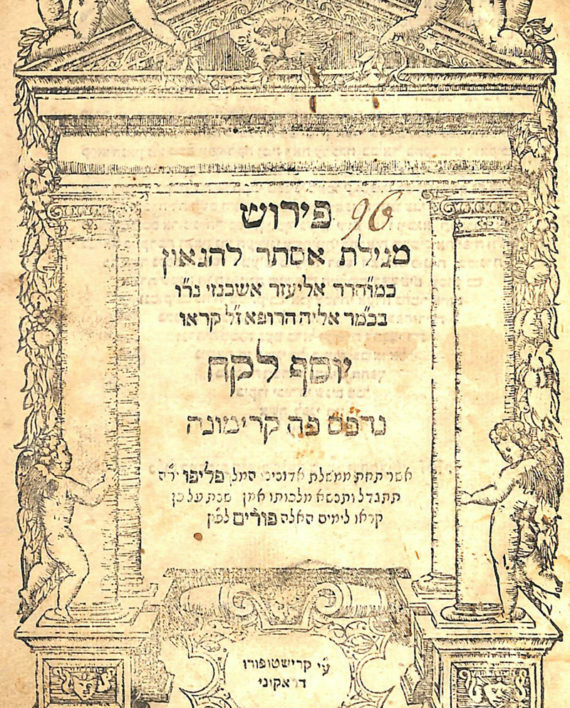 Classic commentary on Esther authored by R. Eliezer Ashkenazi, who was one of the most renowned rabbinical figures in the Sixteenth century. With signature of R. Dovid Deitsch of Novo-Mesto. R. Dovid Deitsch (1757-1831) was as a disciple of the Noda B’Yehuda. He served as Rav in various communities including Serdeheli and Novo-Mesto. In Serdeheli he led a great Yeshiva together with his Son in Law R. Meir Eisenstadt (Maharam Ash). Enormously revered, he is mentioned numerous times in the responsa of the Noda B’Yehuda and the Chasam Sofer. Author of Ohel Dovid. See Chasam Sofer Yore Deah 121, where due to ill health the Chasam Sofer responds in brief to a Halachic question and requests of R. Dovid Deitsch that he should pray for him. Additional signatures and glosses by his son, R. Menachem Deitsch. Vinograd Cremona 47. Draconi press. 83 pages. 20.2 cm. Overall good condition, some staining, minor worming.